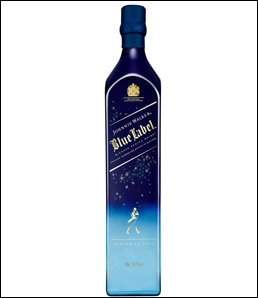 To welcome in the winter months, Diageo is launching Johnnie Walker Blue Label Winter Edition - a limited edition bottle design that depicts the Johnnie Walker Striding Man set against a blue star-lit sky inspired by the constellations seen in the winter skies above Europe. The limited run Winter Edition design is set to become a collector’s item, with only 940 available in the UK. Each individual bottle is encased in a presentation box retailing at RRP £225 and will be available to buy at specialist retailers, launching at The Whisky Shop from October 2016.